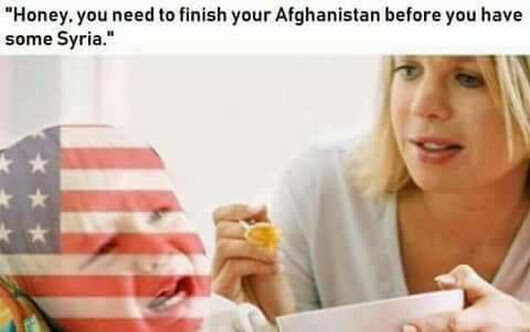 but Mom I like Syria, Israeli tastes good. Huh, one a Bush war, one an Obama one. One can only hope Trump doesn't add NK to the list. One can only hope Trump doesn't add NK to the list. Surely you don't think you'd lose, right?